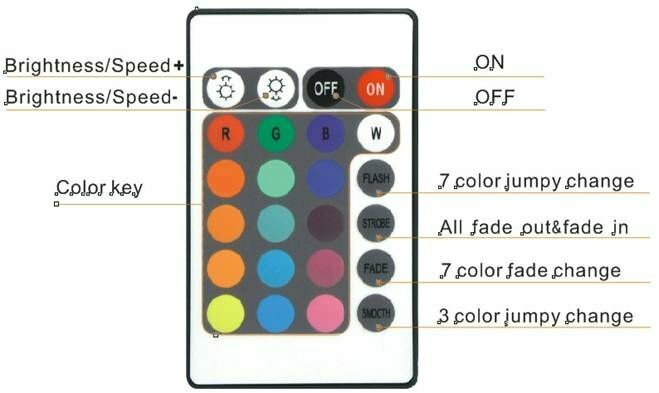 I have a LED 24 button remote with a few broken buttons and I want to simulate all the buttons with an esp8266 using an IR remote library. I would like to know if someone can help me translate the LIRC config file with all the functional buttons to an ESP lib command. I have 2 lircd.conf files of the same remote (everything worked on a raspberry) and I'm using the same circuit on an ESP8266 (wemos d1 mini pin D5 and D6). Output from a few buttons read from the esp using the IRremoteESP8266 library . Looks like is just plain NEC IR protocol. So use something like irsend.sendNEC(0xB04F, 16) for POWER_ON. Not the answer you're looking for? Browse other questions tagged esp8266 ir remote-control convert or ask your own question. How to make universal remote controller?